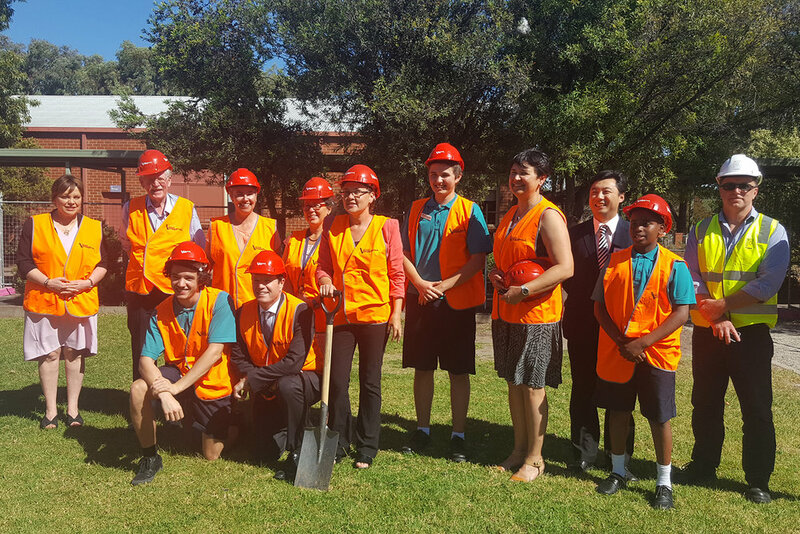 Baldasso Cortese joined dignitaries, students and staff yesterday in the official sod turning for Brunswick Secondary College. We are excited to see that the demolition and site preparation has commenced for the new food technology, canteen and café building located at the heart of the campus. The project will also comprise of a major refurbishment to the old gym to include new performing arts facilities and general purpose classrooms, the addition of an outdoor learning area, two science labs, and gallery/project spaces as well as the maintenance and upgrades to existing science labs, all of which will meet the contemporary pedagogical needs of this inner urban secondary college. School Principal, Karen Harris together with the local MP Jane Garrett and Baldasso Cortese Associate Vicki Leo led the ceremony. Other guests included School Council President, Adam Rampage; ex-principal and now Senior Education Improvement Leader at Department of Education and Training, Vivienne Tellefson; the builder Fimma Construction’s Director Ivan Korosa, Arpad Csatlos and John Budinski; and Baldasso Cortese’s Executive Chair Anthony Baldasso, CEO Andy Scott, and Senior Project Architect Robert Sheng. The modernisation of the college is due for completion by the end of 2018.